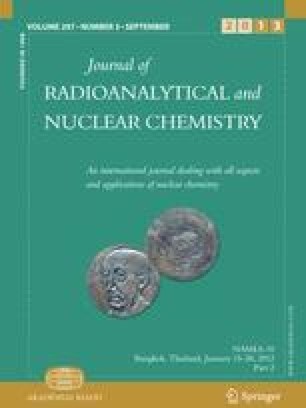 The chemical homogeneity of 10 mg samples of the (U. S.) National Bureau of Standards standard reference material 1633a (coal flyash) was determined for several elements by instrumental neutron activation analysis. The homogeneity was tested for the purpose of using small samples of the flyash as a multielement comparator standard. For small sample masses the flyash may be unacceptably heterogeneous for Fe, Co, Ba, and perhaps As and Sb. Homogeneity is improved by grinding the flyash. For comparison, homogeneity data for USGS GSP-1 is also presented.